This page is intended to direct you to End of Life related resources that may assist you and loved ones in preparing for the various processes that will aid in consciously planning for the end of life. 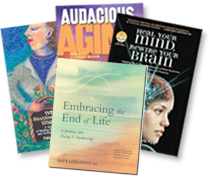 These resources are offered by colleagues who share our commitment to ease and consciousness in preparing for death. Purchase a downloadable PDF version of the Facilitator Guide now through PayPal for $5. Once you have completed your payment, click the RETURN TO MERCHANT BUTTON. You will be directed to a page where you will then CLICK TO DOWNLOAD. The PDF of the Facilitator Guide will display in a new tab in your browser. 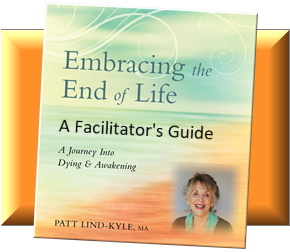 Simply print or save the Embracing the End of Life Facilitators Guide. Patt has created a series of meditation videos to expand and complement those woven through the book. The video meditations are offered as a free bonus to be used individually or in group settings. Experience the meditations now. 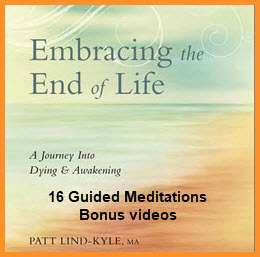 Patt Lind-Kyle shares wisdom from her newest book at her book release signing celebration. Listen as Patt graciously with touching humor talks about “embracing” as preparing for one’s own death and for supporting loved ones. She illuminates five (5) key things we need to know about death and dying in order to prepare for a conscious, joyful death. Enjoy Patt’s book release celebration. 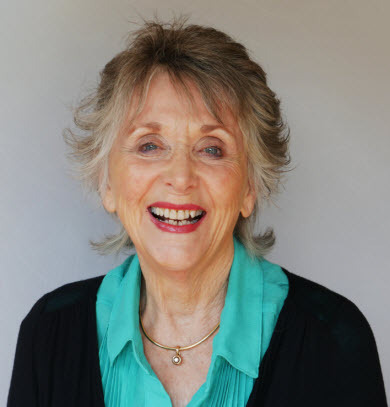 For a short overview of her newest book, listen as Patt describes the two major parts of the book:Part I: Embracing is bowing to the honor of a very natural cycle and Part II: The Journey to Dying and Awakening – the Journey to Freedom. 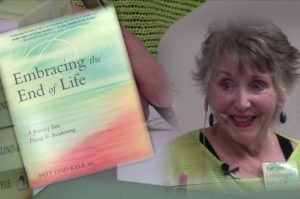 Patt’s four books, CDs and bonus video meditations reflect her wisdom and understanding sourced from her personal journey of healing to awakening fully to death and life. For more information visit Books by Patt Lind-Kyle or MP3 or CDs. Enjoy Patt’s wisdom and wealth of information on many related subjects through her regular blog posts. Patt frequently posts articles, blogs and reflections through Facebook. Like Patt’s @EmbracingtheEndOfLife FB page now! MyDirectives provides a personalized online emergency, critical and advance care plan — Better than a Living Will. With MyDirectives.com compile your medical treatment wishes in one convenient and secure place online. Create your free emergency, critical and advance care plan with MyDirectives. MyDirectives offers everything you need for a 21st century emergency medical care plan is in MyDirectives.com’s award-winning Universal Advance Digital Directive (uADD)™. 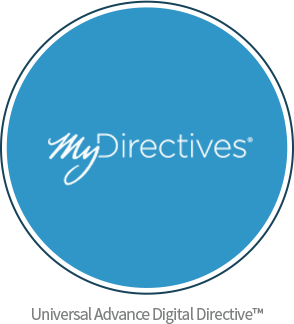 MyDirectives is easily accessible on your computer and mobile devices. Read more in Patt’s recent blog post about MyDirectives.com or click the logo image to visit the MyDirectives.Com site. A documentary film examining the growing trend of families carrying for their loved ones after death. A critical look at the American relationship with death and an inquiry into the home death care movement, In The Parlor: The Final Goodbye takes viewers on a journey where very few have gone, and challenges us to reflect on this uncomfortable subject, which so often is hidden away and ignored. 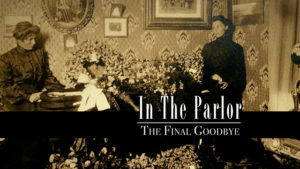 Read Patt’s recent blog post at In the Parlor: The Final Goodbye . DVDs/Blu-Rays are available for purchase on her Shop page.